4 Beds 3 Baths 2,377 Sq. ft. Welcome home to this beautiful corner lot home in desirable Clay County. 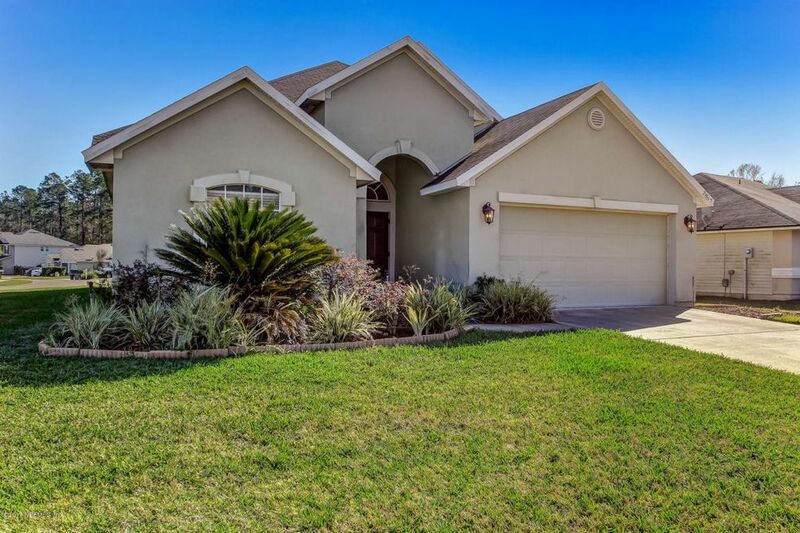 This 4 bedroom, 3 bathroom spacious home has all of your must have items on your checklist. Formal dining room, family room, 3 bedrooms and office are on the main floor. Sweet dreams in this lovely master suite, large walk-in closet, garden tub and separate shower. Sought after features such as hardwood floors, newer carpeting, interior laundry room, 42'' upper kitchen cabinets and stainless steel appliances are sure to please. The upstairs 4th bonus bedroom is large enough to fit all of your needs. Outside features such as the covered lanai and sprinkler system make for a convenient and comfortable outside experience. Within minutes of the Argyle Elementary. There is still plenty of down payment assistance available. Directions: From I 295 Exit Blanding Blvd South. Right On Argyle Forest Blvd., Left On Cheswick Oaks Ave., Left On Spencers Plantation Blvd., Left On White Heron Trail, Right On Spoonbill Trail.